How Do I Judge A General Purpose Smart Contract Platform? I do a simple test. I ask a simple question that would cover pretty much everything. So what's it? Can I run a Massively Multiplayer Online First Person Shooter on it after that game hit 30 million daily active players on this particular smart contract platform without ruining everything for the rest of the DAPPS on the platform? So far everything except EOS gets an "F" grade. Komodo and Enigma have privacy features and NEM works as a currency with encrypted messaging and smart contracts as an extra purple cow. Other than that I don't see good enough competition. NXT and ADA are good. But they are not as good as EOS. Yes there is a for-profit for called Everipedia and they are getting on board with EOS. Everipedia is the biggest English-language encyclopedia (YES I'm being 100% factually correct) and ranks 19,761on Alexa ranking compared to rank 5 of Wikipedia. Everipedia does have a low bar for quality. So the sophistication does come at a cost. So they are making the IQ token and once Everipedia is decentralized and hosted on the EOS platform nobody will be able to block the site and people will be incentivized to keep the quality high using the IQ tokens. You get IQ tokens airdropped for holding EOS. EOS can run Ethereum as a single smart contract in the EOS platform and EOS is 15 times smaller in marketcap. The lesser versions of EOS tech like Bitshares and STEEM(and YOYOW and GOLOS) are battle tested OK who am I kidding. we are not even using 1% of the Tx capacity. So what battle testing. The point is you can't loose on the long term with EOS and https://lunyr.com/ is doing damn fine on Ethereum and that's starting from scratch. Everipedia is already big and they plan to attempt the same thing Lunyr does. I think Lunyr will have success too. I love the project. But even if I could time travel to get it at 12 times cheaper prices, it won't be an airdrop. EOS could be $100 and still be a fraction of ETH and you get IQ for your HODL. So I know where to put my money. I actually think, in the long run, the bigger part of that announcement was the 1 billion block.io have promised to use to support startups building on EOS, that is huge. I was hoping EOS could hit a 100billion market cap in 3-5 years (or ~100USD per coin, minus the 5% inflation) but if that 1 billion is used well, on top of that tech, a far bigger number is not inconceivable. Screw the moon, these guys are chasing voyager. What $100 in 3-5 years??? It's already at $16. Expect $100 at the end of summer. More like $1000 EOS by the end of the year. EOS will in my opinion mimic Ethereum's price movement. If block.one distributed those tokens to the EOS holders as airdrops they'll be getting 10% of the tokens they are investing in as block.one holds 10% of EOS. Incentives are perfectly aligned for them to make very good investments and EOS holders will be well compensated. I agree, see my comment to devrim. I prefer to keep my expectations on the conservative side, everything above is gravy :) It's not beyond the bounds of possibility that the market could cool off for a while at some point, it wouldn't be the first time after all. It never hurts to be safe. Hope for the best and prepare for the worst. It seems to be a very well ICO. Could you comment on it please. Thanks a massive lot for bringing this to my attention. I haven't finished reading the whitepaper. I don't think it's a scam. Either they will chew more than they can swallow or become what PIVX is to Dash and compete with EOS. I really have to look deep into this. They'll either screw it up or become 100+ billion USD company in 5 years. V what's your verdict for credits.com? Basically credits are focused on the financial markets. XLM focus on the front end with better tech and XRP is just the banker's thingy. Credits has the Potential to combine best of both worlds and put it on steroids. Personally It's something I'd keep an eye on and slowly ladder in. If they deliver, it can totally outdo XRP and XLM. Just what I expect from your caliber. Let me know more when you have more to say. Seems like I missed the airdrop. Why did you not holler? There are 86 more days remaining. You can get an E-mail Alert on the above site. Is EOS cheaper if you buy from the long running ICO, or is on exchange the same? I followed today's token sale, and the final price per token seemed on par with what you would pay on an exchange at the ICO's period closing moment. Then there are the transaction fees, so I would probably get my tokens off an exchange, especially if it were a small amount. I'm not too sure how you could be better off buying from the ICO. If the daily price is below the exchange price, more ETH is guaranteed to pour in as closing time approaches. If the exchange price was to suddenly dip, however, there is no way for the ICO-participants to lower the effective price, as the submitted Ether can not be retracted, forcing them to buy above the market price. I'd keep an eye on the ICO price nonetheless towards the closing time of each period in which I'd want to buy EOS. Very good advise. Couldn't have said it better. That's a good description of the "problem" or dilemma. Although I think that the market is so big, that you won't be able to find cheap EOS at the final minutes of the day. I mean, if you go there and there isn't much on the table, you would buy a lot. Buying a lot makes the price go up. And believe me, the market is sooo big, that there will be a couple hundres (if not thousands) of people waiting to the end of the 23 hours. You just need 100people there, and they go all in and the price stabilizes right up to the market price. 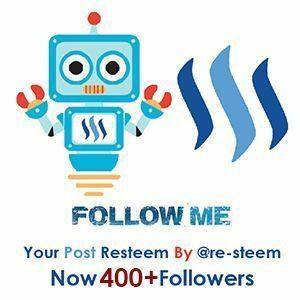 Let me just say that I've always been a supporter of Steemit, and love the platform. Yet, Like I have expressed in my very first Steemit post, Everipedia is my one and only love. I only got to know Everipedia when I came across the airdrop. It's seriously better than Wikipedia. Getting it on blockchain would seriously improve the quality and amount of content even more. I mean people would work harder when there is money behind it and I hope there will be good enough measures to keep bad actors away. You guys have already done lots of hard work. It'll seriously pay off. Lunyr also has the disadvantage of being on Ethereum. But the biggest difference would come from the content. I wish you best of luck! Do you know when the airdrop will happen? I was thinking we wouldn't have register our EOS tokens (if we bought on an exchange) until June, but now I'm thinking we need to do this right away. Thoughts? They haven't announced a snapshot date AFAIK. I was also thinking keeping my EOS on an exchange ready for trading. Personally I'd wait a little more to register my EOS. Keep an eye on announcements. I check the Twitter and reddit at least twice a day. If EOS had a massive bull run with a sudden crash like Tron did, you could sell high and buy more later. If you register the tokens you have safety and you are bound to get your IQ tokens. It's a pros and cons situation. Personally I won't register yet. You are welcome to your decisions. Maybe you could do 50/50. I heard the end of this month will be the snapshot, so maybe start thinking about getting your ether address registered! Could be a lot of air drops for EOS holders coming up. I will be buying all the way until launch. Currently I've put a lot into STEEM. I even put my EOS into STEEM. I will sell some SBD and add some fiat to buy EOS a little close to the end of ICO. I was at one of Stan Larimar's speeches in Austin and he showed us a text that was sent from Ned when he asked about why EOS is better than Ethereum. He said "EOS can run Ethereum on a single node..."
I was there in Austin also! I thought @stan did a wonderful job. He answered my question about the possibility of bringing decentralized fiat - crypto banks into the game. Thank you for the post @vimukthi I am so excited to see what the brain of @dan can produce in his 3rd and best blockchain tech! Go blockone! And from the looks of it @dan has really gotten a hang of things this time. The more I learn about EOS, more of my complaints gets answered. I'm a person who evaluate projects based on flaws. I see so much BS regarding BTS and STEEM. EOS just solves practically all of them. @dan really learnt his stuff through BTS and STEEM. The projects built on EOS may even end up killing both BTS and STEEM. Yeah he did. I'm definitely curious to see where this all goes. The fact that Steemit is a living, breathing, working thing is still a major advantage for now. I'm not a huge techy by any means but @vimukthi you might be able to answer this. Would it be possible to fork Steemit onto EOS? Or is that theoretically impossible? I'm not a huge techy either. I'm more of a jack of all trades. My knowledge is that the tech behind STEEM is like a prototype EOS. If a person wants to run STEEM on EOS it shouldn't be that hard. GOLOS is a Russian fork of STEEM and YOYOW is build using the same tech with a focus on China. Getting people to use the EOS DAPP instead of STEEM will be the most difficult part. With SMTs coming and witnesses already being a big deal on STEEM and whales owning a lots of valuable tokens will make migration little tougher. Somebody could build a better version of STEEM on EOS. That's s better route to take instead of migrating. On the other hand Bitshares may end up moving to EOS. I've heard several people discussing the idea very favorably. Interesting! On the topic of alternative Steemit's or forks of Steemit - what do you think of sites like busy.org? I don't really understand the purpose. Is it just a more user friendly version of Steemit using it's blockchain? People just like different flavors. There is https://dmania.lol and https://beta.chainbb.com/ which are using the exact same STEEM blockchain. There is no one size fits all solution and I personally consider them to be welcome additions. SMTs would further increase this diversity IMO. Very cool man! I agree, he really helped me to conceptualize crypto on another level. Cheers man! That is 100% true. Check http://www.blocktivity.info/ STEEM is handling more Tx volume than ETH while using 0.12% of the current capacity and EOS will make STEEM look meh. Yup Stan referenced blocktivity too! Proof is in the pudding. Your greatest post so far. How do we holler for the airdrop? My eos are in either bittrex or bitfinex. Should I move them to myetherwallet? bittrex? are you sure ? you meant binance maybe. i've put everything on exodus wallet you can register them from there with an EOS key there are tutorials on steemit for that. Don't leave your EOS on exchanges it's the worst place to stack up hodl coins. and bitfinex has a 0,1 eos fee for withdrawal it's 1 eos on binance. And what about hodling EOS in a BTS acc? I need to read that tuttorial. Yes i have my EOS in BTS account. How and when would i know to switch them for the tokens? currently its open.EOS? Not sure. I don't have great memory. I got 11 coins and I don't know which is where :). You're right. I should move hodl coins to a wallet. But I'm always afraid of a disk crash and thus cannot trust local wallets. Some exchange may give you the airdroped token, you need to confirm with the support. Better use an address with private key in control. Thanks for the complement. The specifics of the airdrop is yet to be announced. I'd probably make a post after they make another announcement. I may miss it. Give me a reply in any of my comments to you please. or if you know how to pm in steemit :) no pm is kind of limiting isn't it? There is https://steemit.chat but I don't use it. I'm already spending too much time on steemit. Then just reply to any of my comments please. Thanks. Awesome article! Thanks for sharing your thoughts on EOS and bringing me up to date with some recent developments! Can we play a massively multiuser game on Eos as a Dapp is a good question. For any system there is an application that stretches the capacity need beyond what is practically usable. It was so with the desktop as the cpu got faster. There was always an OS version or an app that made the box slow. The same seems to be the case with internet speed. Video resolution is always one notch better than what you system can take -- or at least until recently. As for Dapps, obviously there must be a policy of how to stop Dapps that may overload the system. There absolutely will be one that is to resource hungry. Is a possible answer to my post, that Eos network will not be overloaded because the capacity needed must be allocated from the network by the developer who has a share of the total network capacity in proportion to how many Eos coins he has. Although the question was, can a massively parallell multiplayer game be executed? Seems no, since the developer should then need a massive amount of Eos. And there is a practical limit to that. There are things like delegating EOS where the dev could simply rent the EOS instead of buying. Also when a game gets popular it brings more revenue which enable a dev to buy more EOS to use more bandwidth. No game starts with 30 million players on day 1.
is it possible for the hypothetical players to delegate EOS to the developer in order to use more bandwidth? It would be quite an interesting setup actually. Lunyr need to work on interface . They are starting from scratch. So UX won't be the best. They haven't even fully released the project yet while Everipedia has been around and they just need to migrate into the blockchain. As for encyclopedias i recommend http://infogalactic.com. It doesn't have quite as much post-modern bias as everipedia that to me seems just a wikipedia copy. How will we get the airdropped IQ tokens , can we keep them in Bin wallet ? Could someone share the telegram group? This link would lead you to the telegram group. Does the token address have to be registered in order to get the IQ airdrop ? When I have my EOS on Exodus am im able to get this airdrop ? Any idea when exactly the airdrop will be taking place? I assume I have to take my EOS off the exchange by then... Any tips on where to store it? They say they'll announce it on the Telegram group. It won't be much different from any other airdrop. So act as if you normally would. So, what is the exact date of this so called air drop it has been talked about but nothing specific.